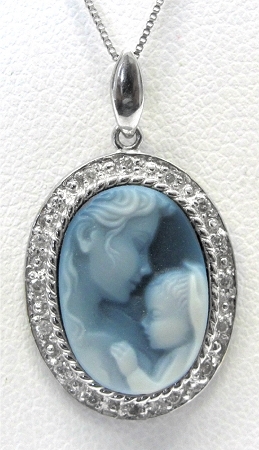 Ladies 14kt white gold estate pendant. Set in mounting is an oval cameo. Also set in mounting are 16 round cut diamonds weighing approximately .07ct total weight. Pendant comes with an 18.5 inch white gold chain.